For those of you that have Foxtel there are quite a few new channels and tv show line-ups coming up towards the end of this year/early next year. 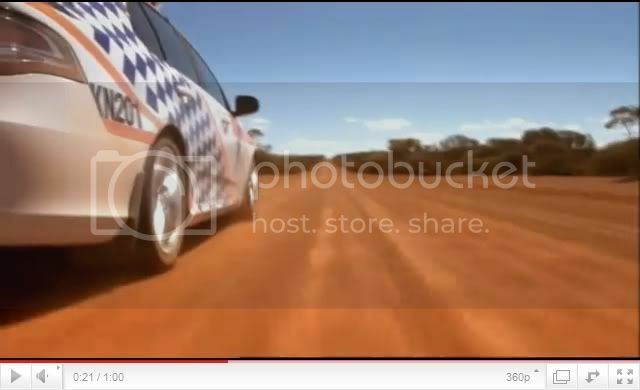 One of these new shows airing is Kalgoorlie Cops. Below is Foxtels description. 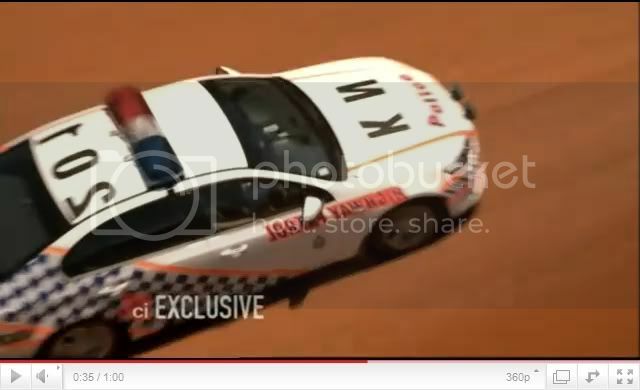 Kalgoorlie Cops will air in February 2011 on Crime & Investigation Network. There's never a dull moment for Kalgoorlie’s cops as they try to control the legendary frontier town that is rife with money, murder, miners, hookers, gold-theft, crooks and outlaw bikers as well as plain old-fashioned Friday night punch-ups. They only had a very short preview on tonight and it seems like it should be good, with it being much like The Force. Will keep you all posted when we hear/see more. If someone could post to say youtube that would be perfect! 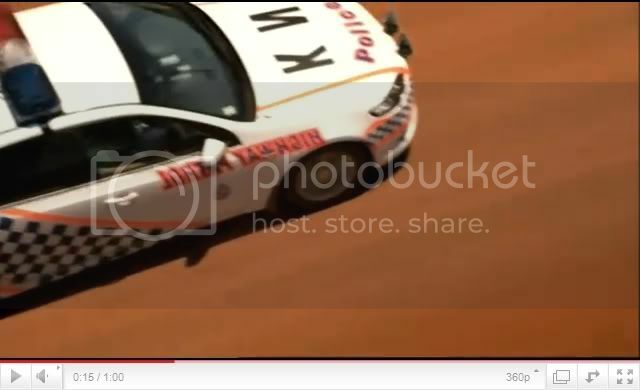 The Kalgoorlie cops online scanner is quite interesting to listen to at times. quite right tho, not often a dull moment!! should be a good watch. Last edited by HL 101 on Thu Mar 01, 2012 4:33 pm, edited 1 time in total. 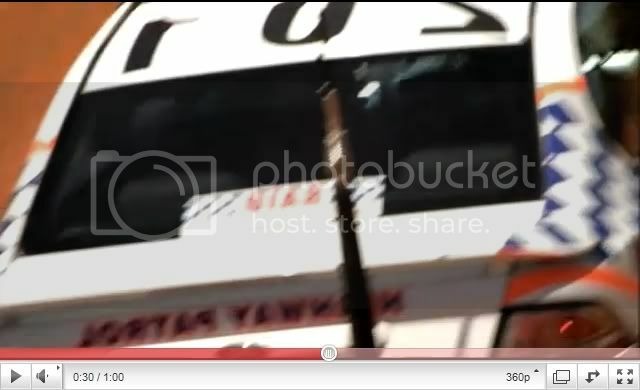 Haha yes, seen the ad tonight..
Last edited by HL 101 on Thu Mar 01, 2012 4:33 pm, edited 3 times in total. Schis wrote: Haha yes, seen the ad tonight.. The add for it pretty awesome KG 201 Pulling over that big mining truck. If someone can record this it would be great thanks! It would also appear from the image below (@ 21 seconds), that KN201 has had its rear bumber replaced, as the letter K is not complete. Still, the ad looks quite good, even with the reverse the image. Are you saying AE that ABC would have done a better job? written_ficton wrote: Still, the ad looks quite good, even with the reverse the image. I agree w_f. The promo is very slick. Probably one of the better i have seen for a while. There are a lot of subtle clues that show the production company have put a lot of resources and effort in to it. written_ficton wrote: Are you saying AE that ABC would have done a better job? I never mentioned the ABC. I was making a professional observation. I didn't suggest it was a bad job, or that anyone could have done better. I know, just tagging your leg. There are a lot of subtle clues that show the production company have put a lot of resources and effort in to it.